Today, some of our Key Stage 3 pupils had an opportunity to work with a local author to help develop their writing skills and see what it takes to write a good story. 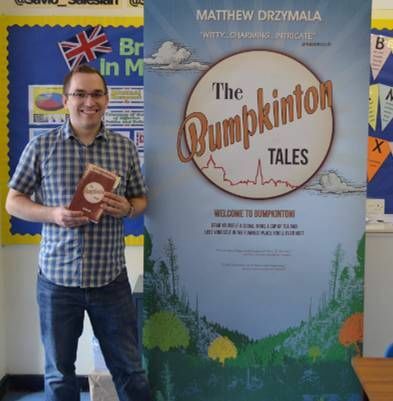 Matthew Drzymala, author of The Bumpkinton Tales, delivered a workshop that involved readings from his popular book, followed by interactive activities that explored the characterisation of the characters. 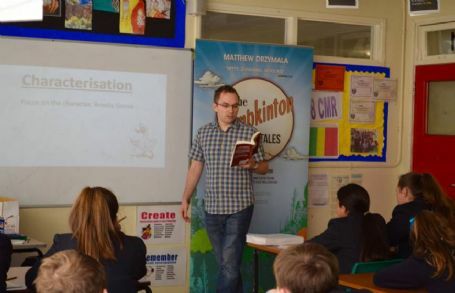 Author Matthew commented: “I had a fantastic day at Savio Salesian College, and this was down to all of the staff and students for making me feel so welcome”. 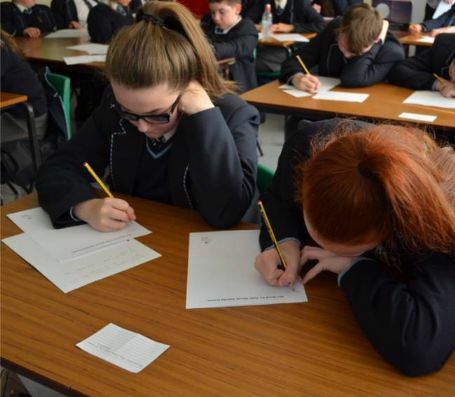 “The workshops were a great success, with the students getting involved in the exercises and asking me lots of questions about writing and being an author”. Matthew continued: “Looking at their work, there are a number of talented writers in the schools and I hope that I managed to ignite a spark in them to continue writing”.